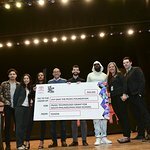 Tonight should have been the opportunity of a lifetime for attendees at the Thurgood Marshall College Fund’s (TMCF) 25th Anniversary Awards Gala in New York City; highlighted by a performance by international renown recording artists and humanitarian Wyclef Jean. However, due to the expected arrival of Hurricane Sandy, TMCF has been forced to cancel this special celebration. Though the ultimate consideration was for the safety of its guests, particularly the 500 young scholars representing the best and brightest talent from the nation’s public Historically Black College & Universities (HBCUs), many were left disappointed. Jean, never one to let down his fans, immediately announced plans to perform at a charity concert in New Orleans to support the ongoing rebuilding efforts of the campus of TMCF member school, Southern University at New Orleans (SUNO). 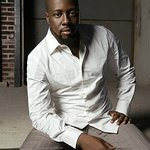 Wyclef and SUNO Campus Administrators are working to identify a date for the New Orleans Concert. “Although we are saddened by the cancellation of TMCF’s 25th Anniversary Gala due to Hurricane Sandy, nothing compares to the damage done by Hurricane Katrina and the loss to SUNO’s campus in 2005. TMCF is very pleased to be able to play a role in the rebuilding efforts of one of our member-schools, said Johnny C. Taylor, Jr., President & CEO of the Thurgood Marshall College Fund.